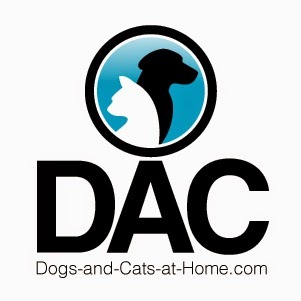 Description: The Clumber Spaniel is low to the ground with heavy bones and short legs. The head is large and broad, with a deep muzzle, combined with a heavy brow. The nose is large and comes in various shades of brown. The teeth meet in a scissor bite. The eyes are amber in colour and deep-set. The chest is wide and deep, with the front legs being straight. The Clumber Spaniel ears are triangular in shape, set low and hang downwards. The neck is muscular and heavy, and the fur is feathered at the throat. The tail is docked, in countries that permit this, and is feathered. The coat is dense, flat and straight, being soft to the touch. This coat is mainly white, with orange or lemon markings. Their weight is 55 to 85 pounds and their height is 41 to 51 inches. Their life expectancy is ten to twelve years. History: The dogs contributed to making this breed were, the Basset hound, St Bernard, and Alpine Spaniel. 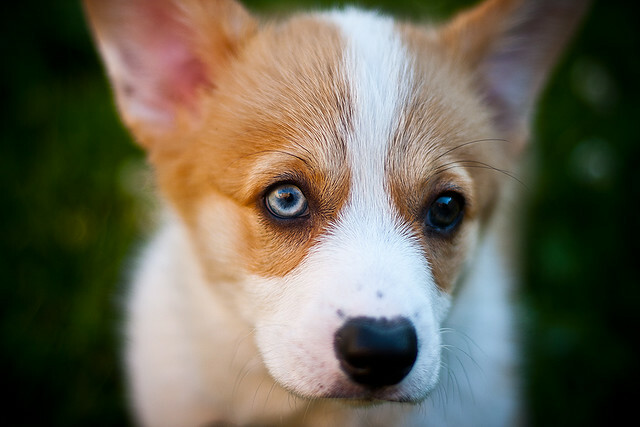 There is no proof, but it is believed this breed was created in 18th century France by one of the Dukes of Noailles. Threatened by the French Revolution, the Duke transferred his dogs to England, to his closest family, the Duke of Newcastle. Here the breed was in favour of royalty and the name possibly derives from the Duke of Newcastle's estate called Cumber Park. This is the heaviest of the Spaniel's and is a slow, quiet hunter. This dog is able to work independently or within a pack showing good endurance to do particularly well in dense undergrowth, and they have a fine sense of smell. This breed has been trained to retrieve and track. In 1848, the breed arrived in Canada, and from there made its way to the United States. 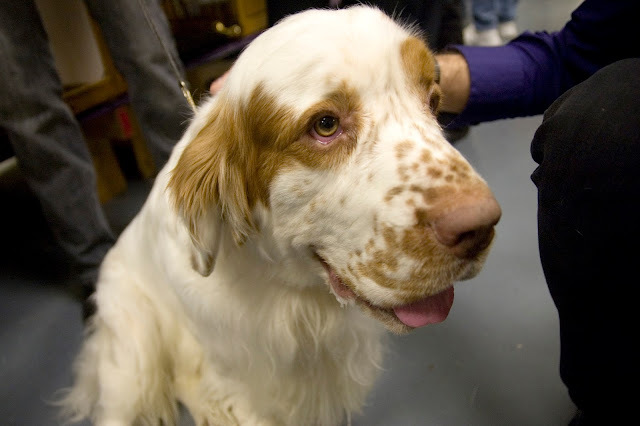 The Clumber Spaniel was first recognized by the AKC in 1884.